The food walking tours in San Francisco offer you the best of our diverse foodie culture. During each tour, you will savor several treats while learning more about the local neighborhood or market. This is one of my favorite ways to try different cuisines while on vacation and find some great restaurants to check out during my stay. Some of the top districts you could visit include Chinatown, North Beach, the Mission and Hayes Valley. Each offer a distinct set of dishes. Below is a list of the 10 top food walking tours in San Francisco. Do you love Italian food? 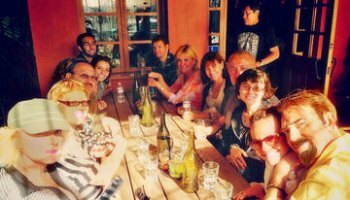 If so, then this San Francisco food walking tour is a must for you! This 3-hour walk heads through the North Beach neighborhood, which is also called Little Italy. During the trip, you will taste several Italian goodies from cappuccinos to authentic Italian pizza. You also get to sample chocolates, olive oils, and Italian pastries. As you are sampling, you will learn a little about the history of the neighborhood, see how coffee is roasted, and watch as chocolates are made. You will also get an insiders peek at 130-year-old ovens and explore some of the places where the Beat Generation hung out in the 1960s. This tour is so popular that it runs twice a day, at 10am and 2pm. All food and drinks sampled during the trip are included in the price. It covers around seven to eight blocks, all on a flat path. You can find tickets for this North Beach walking tour on Viator. 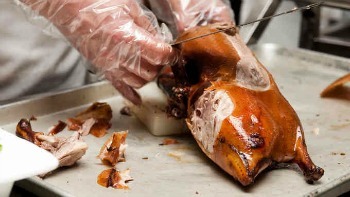 Another one of the best food walking tours in San Francisco is the combined Chinatown and North Beach night tour. During this one, you get the chance to taste authentic Italian and Chinese treats. This 2-hour trek starts at 6pm in Chinatown, where you will enjoy dim sum from Chinatown's oldest bakery, see how fortune cookies are made, and even savor some traditional Chinese teas. You will also explore the real Chinatown. You will learn more about its culture, sculptures, and architecture. After the Chinatown portion, you will head just a couple of blocks to North Beach. Here you will savor Italian coffees, explore the Beat Generation's favorite hangouts, and sample some delicious authentic Italian pizza and wine. Tickets for this daily tour are available on Viator. Reserve your spot today! The Mission District in San Francisco has an unprecedented mix of ethnic cuisines due to the rich diversity of its community. While most people are familiar with their Latin inspired dishes, here you will also find dishes from places such as Italy, Germany, and Vietnam. On this 3-hour journey, you get to walk the streets of this eclectic neighborhood while you learn more about its cuisines. 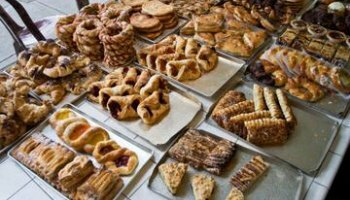 Along the way, you get to sample everything from delicious bakery-style cookies to some of SF's best clam chowder. In total, you will have six tastings as well as a little California wine. Once you are done sampling the foods of the neighborhood, you will then get a chance to see some of its most colorful murals. The Mission District has hundreds of beautifully crafted murals that celebrate the history of the area and its people. See some photos of the Mission District murals here. This is one of the food walking tours in San Francisco that runs daily. It starts at 11am. You can buy tickets for this tour on Viator, one of the top online travel agencies and one that I use quite often. 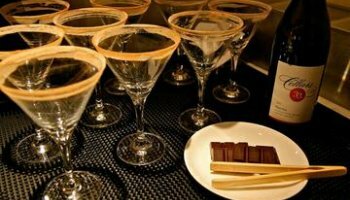 If you love the idea of sampling chocolate with a little alcohol to wash it down, then check out the San Francisco Ultra Chocolate Tour. 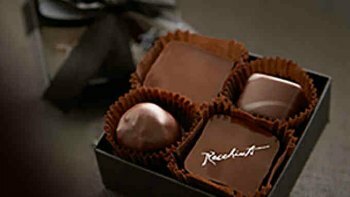 It's one of the food walking tours in San Francisco that will give you the taste for some of the best chocolate boutiques in town. On this 3-hour tour, you will stop by up to 7 chocolate shops. You will also sample an artisanal cocktail, sample beer, and also have a flight of wine. This tour starts at the Loews Regency in the Financial District and ends at the Blanc et Rouge wine bar in the Embarcadero Center. It runs every Saturday starting at 2pm. Find tickets to this tour on Viator. The Ferry Building in San Francisco is a gourmet food lover's dream. This renovated ferry terminal is home to dozens of speciality shops selling everything from fresh baked bread to locally produced chocolates. Many local and famous chefs shop here frequently to create their daily masterpieces. The Ferry Building food tour runs twice a week: on Tuesday at 10am and on Saturday at 9:30am. Tuesday's tour includes some time to sample wines at the Ferry Plaza Wine Merchant. On the Saturday tour, you get the chance to taste organic, locally crafted preservatives from June Taylor. This is one of the most popular food walking tours in San Francisco due to both the location and the quality of samples available at the Ferry Building. All tastings are included in the price. Hayes Valley is one of the hottest districts in San Francisco these days and its mostly due to its amazing restaurants. On this 3-hour tour, you will get a chance to see why it's loved by both locals and visitors. You will stop by up to 7 different establishments on this tour and sample a variety of dishes. Learn all about this trendy district as you walk from place to place. You will also get some insider's tips from your local guide on other places to try and shops to check out. This tour runs on Sundays at 2pm. Find tickets for this tour on Viator. 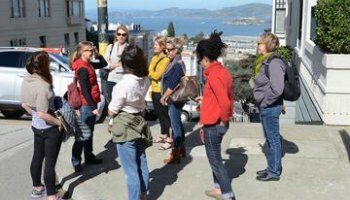 Russian Hill is another great district to check out one of our top food walking tours in San Francisco. This district sits on the north side of the city just to the west of Fisherman's Wharf. On this 3-hour tour, you will sample some of this district's best eats. You will stop by restaurants and famed food shops to sample cheese, ice cream, baked goods and meat. You will also learn all about this historic district and see some amazing views from atop its high hills. You will start on Macondray Lane, which is a gorgeous pedestrian lane that is on the National Register of Historic Places. You will then make your way over to Polk Street where you will find the majority of the restaurants and shops in this district. This tour runs on Thursday mornings at 11:45am. Find out more about this tour and pick up your tickets on Viator. We also have a wonderful tour dedicated to those that are vegetarian. 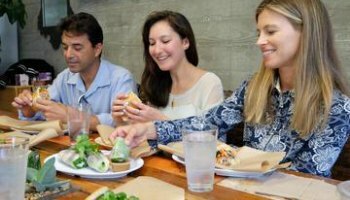 San Francisco has a large number of places where you will find tasty vegetarian and vegan meals and this tour will take you to some of the best. Not only will you stop at those dedicated to vegetarian and vegan dishes, but also some of the best restaurants that serve a variety of dishes in addition to these amazing vegetarian treats. Your tour will start in the Mission District. Your knowledgeable guide will take you on your journey as you try some of the best vegetarian options around. You will also learn all about this eclectic district, its history, and its colorful murals. This tour runs twice a week. You can catch it on Sundays at 3pm or Thursdays at 6:30pm. It lasts for about 3-hours and all dishes are vegetarian or vegan. Find out more about this tour and ticketing availability. One of the other hot foodie districts right now in San Francisco is No-Pa (short for North Panhandle), right next to Alamo Square. 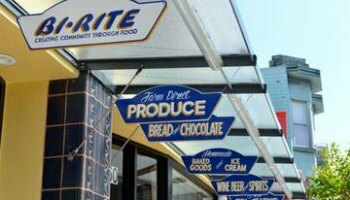 Most of the best places to eat here run on either side of Divisadero Street. You will also find some other great picks along the side streets in the block or two leading up to Divisadero. On this 3-hour tour, you get the chance to sample from some of the best in this district. You will try home made ice cream, fish tacos, wine, cheese and more. Your tour also gives you a chance to see and get some pictures of the colorful Painted Ladies of Alamo Square. You will start your tour in the Golden Gate Park Panhandle near President McKinley statue. The tour ends around Fell Street and Divisadero Street and your guide will help you find the best route to where you need to get to from there. It's on Saturdays at 2pm. Find more information and tickets for this fun food tour. One of the newer food walking tours in San Francisco is the Japantown Tasting Tour. This one walks you through Japantown, where you will sample Asian specialities. 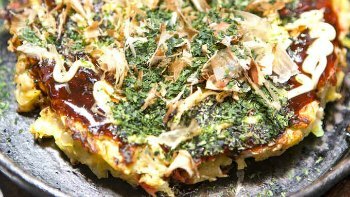 During this 3.5-hour adventure, you will sample goodies such as sweet potato latte, onigiri (rice balls), and okonomiyaki (savory pancakes). You will also find out more about this neighborhood's hidden restaurants and ethnic markets. The Japantown food tour runs twice a week: on Friday and Saturday mornings starting at 11am. Get your tickets today! Night Tours: Are you looking for something fun to do at night? Here you will find the best night tours, including everything from neighborhood-specific ghost walks to romantic sunset cruises. Other Guided Treks: Here you will find a wide range of walking journeys in San Francisco. Find options for Fisherman's Wharf and some of the most visited SF attractions. This is also where you can find a list of the current discounted tickets offered on Goldstar. Self-Guided: Do you prefer to head out on your own, while still learning more about where you are visiting? If so, then these self-guided trips might be your answer.